The NYS Gaming Commission has disclosed the training death of 3-year-old Aggie’s Honor yesterday at Saratoga: “suffered a fracture to right front leg breezing and was vanned off and euthanized.” Aggie’s is the 19th dead racehorse at Saratoga ’17. But fret not, the racing people have this under control. I have also learned that a training collision at Thistledown a week ago Wednesday left one filly dead (compound shoulder fracture) and the other knocked over the rail. The latter’s ultimate condition remains unknown. We do know, however, that the incident was bad enough to force cancellation of the day’s card. money talks, betors reap, owners weep—maybe. This is really so cruel! Taoiseach is a claimer so he is most likely dead by now. P.S. Taoiseach was sold as a 2yr. old for $4000. In his 2 yrs at the tracks and in the claiming game he has made $271,000 for 26 starts. This is a sick abusive corrupt gambling business where the horse always loses even when he “wins” ! Soon they will be performing a “fillet” station on the Saratoga track – fresh horse meat stuffed into their famous hot dogs – prices reduced to .99 cents! It just seems so plausible given their horrific number of racehorses dying that capitalizing on just about everything a racehorse has to offer is right in line with their business operations. Satire folks, please don’t be offended, but see it for what it is – a brutal killing operation for profit with the racehorses paying with their lives. This unacceptable carnage continues and those who have the power to intervene do NOTHING !!! When will mankind ever realize we are the most BARBARIC Creatures on Earth and it’s all in the name of GREED AND MONEY. We kill each other and God’s Amazing Creatures of all kinds without a second thought. These things can not be pleasing to God. If, there is such a thing as Karma . I truly hope it comes for these People. I know Horse Racing won’t be stopped but could more measures be put in to check for the soundness of the horses and the way they are treated. Horseracing can – and will – be stopped. Horse racing should be illegal. Like dog and rooster fighting. It is animal abuse! It’s all about money and making a profit at the expense of animals that have no voice. Besides the horses that breakdown on the track there is a whole industry of overbreeding thoroughbreds looking for that special one that will make huge money. The rest are often discarded to uncertain futures. These are sensitive, intelligent beings that deserve quality of life and forever homes but the reality is that there is such an over abundance of unwanted horses in our country that their fate could be abusive homes or even the slaughterhouse. So sad. Amen, Debbie! Overbreeding is rampant in racing because there is always that one chance in a million of ending up with a Secretariat. Donna and Dallas Keen run a racing stable along with a breeding operation in Texas. One of their stallions, Preferred Issue, stands for $500 which is the definition of “low level”. Ms. Keen promotes their Texas stallions incessantly yet also runs a rescue where she also solicits funds to help with all the unwanted OTTBs that need a soft place to land. Why would a responsible horse lover continue to breed more horses when we struggle to find homes for the ones already here? That, at least to me, is the definition of insanity but that is exactly what the industry does…..breed, breed, breed then dump, dump, dump….because we all know that there is no way in hell that Ms. Keen, or anyone else for that matter, can effectively follow all the horses that are purposefully bred to produce a profit. It really is ALL about the money. The same type of treatment is given to the Greyhounds in the racing world. Thrown away, killed, abused. I have owned 3 retired tacers, everyone of them amazingly sweet and kind. I know here in Wisconsin the race tracks have been closed, I believe all of them closed. But I’m sure it’s still practiced in a lot of other states. Sad! Inexcusable. Horse Racing is abusive and wrong. Only in america. Other countries govern racing on more strict and ethical terms. We love racing but we love our horses more. You can love horses. You can love horseracing. You can’t love both. Rose Churchill – which country do you hail from ? The greed for money is turning humans into monsters!! Shame on you!! Forgive my restating much of what other readers have commented on. 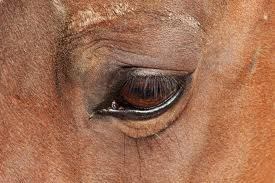 I feel the need to express my feelings in saying I am sickened to death reading about the carnage and total neglect of these poor horse’s pain, terror, and suffering before and during so many alleged “humane” euthanasias. The vast numbers are shocking; the lists seem to go forever for each year we allow this industry to survive. As pointed out by commenters about this report and others, we are reading about only those deaths officially reported by the industry. Since when did “horses” and “industry” become synonymous? It’s just plain sick. The killing of these beautiful, innocent, and delicate creatures should always be done in the public’s full view – on the track where they have fallen. Racing fans need to see the result of their direct support of this cruel, criminal racing industry by their betting on horse races and paying track admissions. I know this is all “wishful” thinking (if you could call it that), as that will, obviously, never happen. Unless PETA and other animal conservation organizations have success one day, sooner than later I pray, in putting this miserable industry down once and for all, refusing to allow the cruelty to be camouflaged, the numbers of deaths will continue to rise, thanks in part to the over-breeding of thoroughbreds and racing them before their bones have matured and strengthened. I am grateful to and for the creators of this website, for keeping this in the public view by maintaining and reporting these statistics. So very sad and totally preventable. Please save and help innocent souls ! !